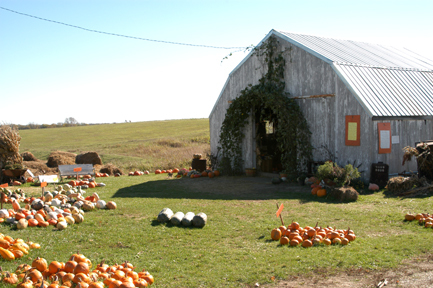 Getting here | Pumpkins Etc. Pumpkins Etc. is at 10700 Farmer Lane, Platte City, MO 64079. It’s about 4 miles east of Platte City, MO. 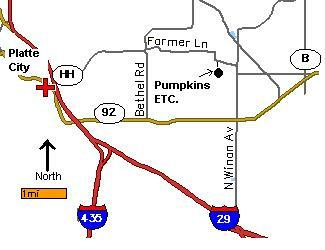 Take I-29 to either Exit #19, Highway HH, or Exit #18, Highway 92. Go east, follow the orange signs. A blue water tower is just north of the patch. Pingback: Dart News Online : C.K. in K.C. : Pumpkins Etc.